1/2 Kg. 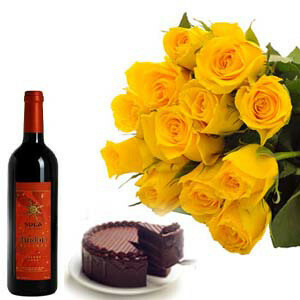 Chocolate Cake with 10 Yellow Roses bunch and a Bottle of Red Wine. Dont wait Just surprise your love with this wonderful combo.